Great news, everyone! 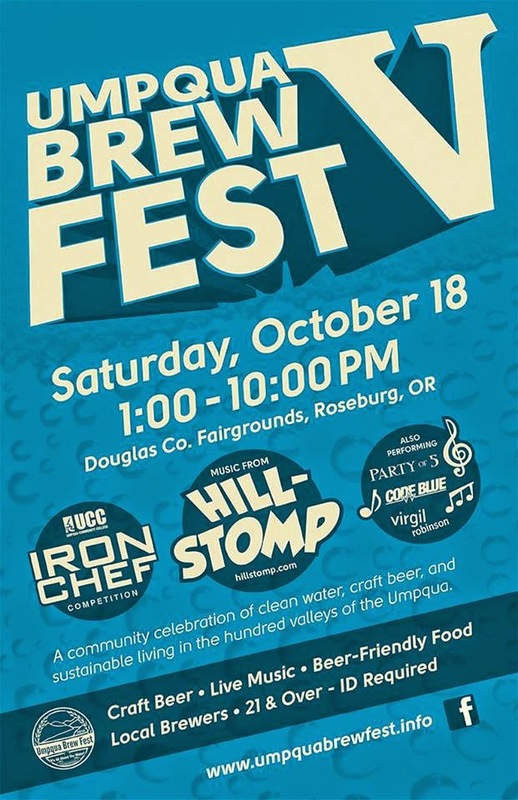 Umpqua Brewfest V's poster is polished & ready to view! Check it out below. 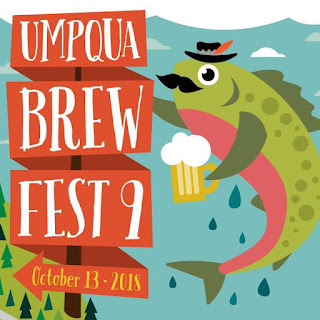 The 5th annual Umpqua Brewfest will be held on October 18th from 1-8 PM at the Douglas County Fairgrounds in Roseburg, OR. We will have craft beers ready for tasting, beer-friendly food, and live music from Hillstomp, Party of 5, Code Blue, & Virgil Robinson. We can hardly wait. Also, we have a twitter! Follow us @umpquabrewfest & spread the love with the #Umpquabrewfest hashtag.